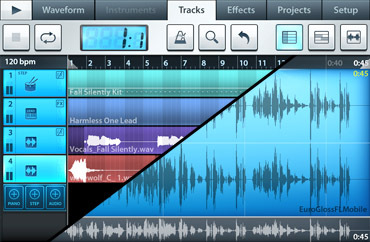 Audio tracks - Import WAV/MP3/AAC/AudioPaste. Special introductory offer ends November 30! Get it in the Image-Line Shop before the price rise. Click above to hear the demo. Neurovision contains 100 presets each with selected performance parameters assigned to the XY pad for ultimate control. But wait, there's more. From Arksun Sound comes 64 presets ready to download as a gift from us to you. Click the image above to jump to the download page. For the second year running FL Studio was voted The Best DAW Software in the World. Thanks for your support. 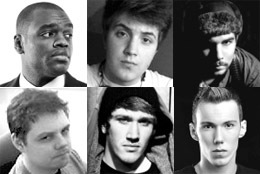 We can't wait to show you FL Studio 11 as we step FL Studio up a gear for 2013. 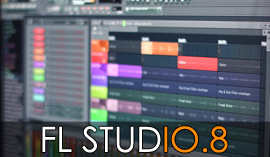 For those of you testing the FL Studio beta we have recently updated to version 10.8. This update adds more Playlist tracks and fixes a number of issues reported so far. Click above to get it. 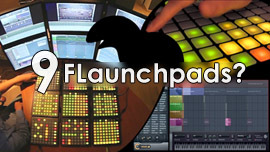 We tested the FL Studio beta with 9 FLaunchpads and 6 video monitors. Click the image above to see FL Studio pass with flying colors. Want to experiment with Performance Mode? Check out the 10.6.1 beta in the panel above.